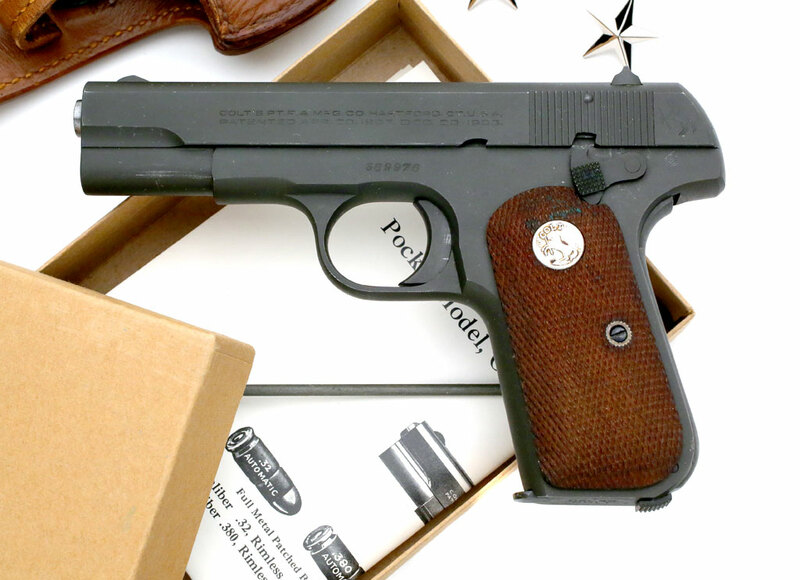 Colt Model 1903 Pocket Hammerless .32 ACP serial number 569976 - U.S. Property marked pistol with original parkerized finish, issued to Brigadier General Ralph Irvin Glasgow on 14 March 1951. 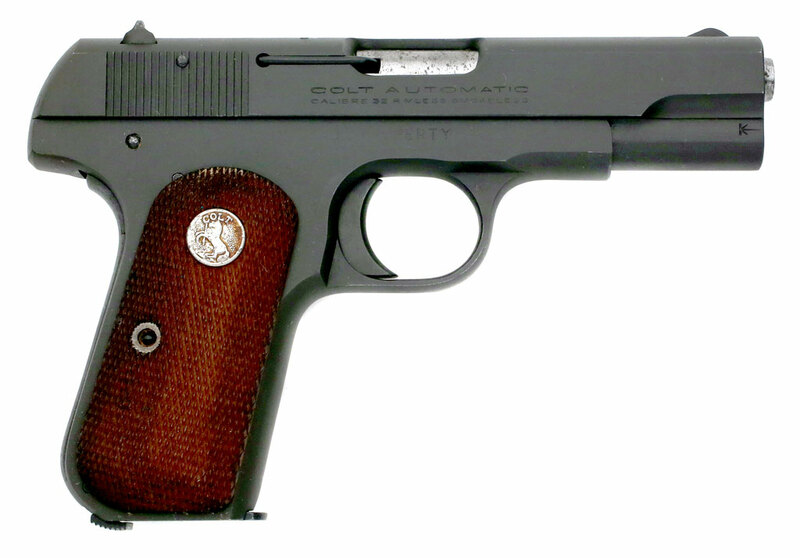 Pistol has ordnance wheel stamped on the left side of the frame, to the right of the thumb safety. (Citation Needed) - SYNOPSIS: Colonel (Coast Artillery Corps) Ralph Irvin Glasgow, United States Army, was awarded the Legion of Merit for exceptionally meritorious conduct in the performance of outstanding services to the Government of the United States at the New York Port of Embarkation from 1942 to 1943. 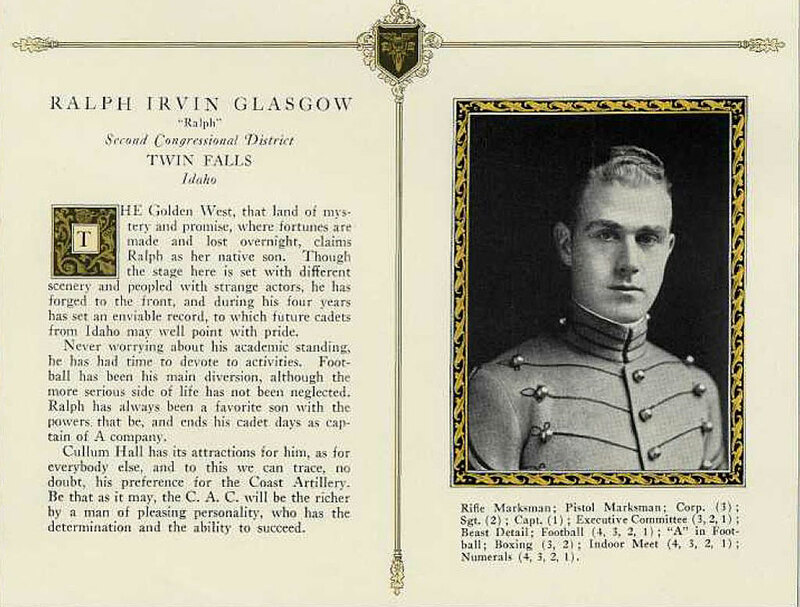 Ralph Irvin Glasgow was admitted to the United States Military Academy from Idaho in 1920 and graduated in the class of 1924. Services for Ralph I. Glasgow, a retired brigadier general in the Army, will be held at 11 a.m. tomorrow at the chapel at Fort Myer, Va. He retired from the Army in 1956 as the military attaché at the U.S. Embassy in London. 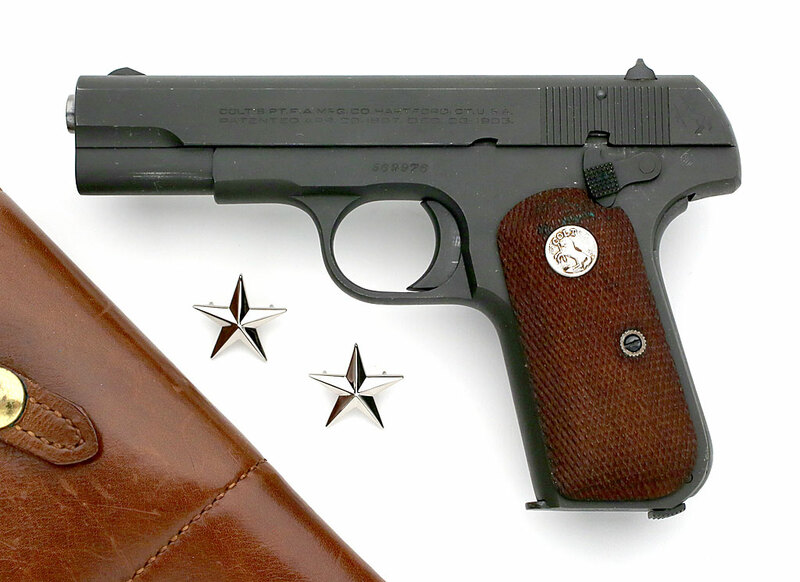 Born in Omaha and raised in Twin Falls, Idaho, he served as an officer in the Army following his graduation form the U.S. Military Academy in 1924. His decorations included the Legion of Merit. After his retirement from the Army, he worked for the National Academy of Sciences and a trucking company before becoming secretary and business manager of the Armed Services Communications and Electronics Association, from which he retired in 1967. He was active in Washington in the American Legion, the Army-Navy Club and the Metropolitan Memorial United Methodist Church. His first wife, the former Mary Osborne, died in 1952. He is survived by his wife, the former Virginia Tischbien; two sons, Ralph I. Glasgow, Jr., of Severna Park, and Robert E. Glasgow, of Cape Coral, Fla.; a stepdaughter, Sally Rigopoulos, of Venice, Italy; a sister, Mrs. J.C. Keys, of Trona, Calif.; nine grandchildren, and four great-grandchildren.